The Perfect Plastic: Another Tech Revolution? The future is plastics. Or so they said. It’s looking that way again and here’s why. Engineers and science researchers in the UK say they’ve got a way to make “a better plastic.” A practically perfect plastic. A stronger, more flexible plastic that will be widely available quickly. Plastic is ubiquitous in household, business and industrial materials. Revolutionize plastic and you revolutionize tech. The ramifications are huge if this so-called “recipe” does as promised. University of Leeds and Durham University researchers say the breakthrough was, of all things, a computational 3D math model. Math, physics and astronomy researchers had been working on new mathematical models to streamline manufacturing for some time. Then they hit on this. The two-part logic model is predictive at core. One major set of instructions examines and continually predicts the flow of polymers across connections. The other instruction set aims to predict the physical, 3D molecular shape molecules will take as they cross and modify the manufacturing to that precise a molecular level. Created in labs of the Microscale Polymer Processing project, the mathematic models researchers came up with show a smarter way to manufacture oil and bio based plastics. It is all software-customizable. 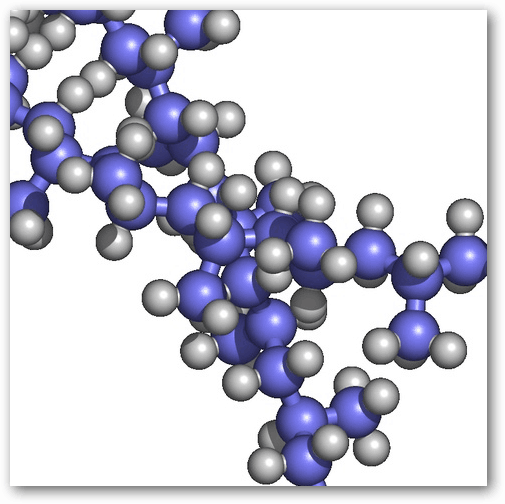 Think WYSIWYG — but for plastic and the polymers that comprise it — at the molecular level. This mathematical model can be modified for bio-based plastics just by changing a few numbers. In case you ever wondered, here’s how the typical polymer output plastics factory works. Professor Tom McLeish at Durham University and head of the Microscale Polymer Processing project likens it to a recipe for edgy new materials. The British Plastics Federation lists the benefits of the perfect plastic project. The Microscale Polymer Processing collaboration has more to say about its innovation. There are already whistle blowers and industry watchers keeping a close eye on plastics as a whole. Find the research papers here.